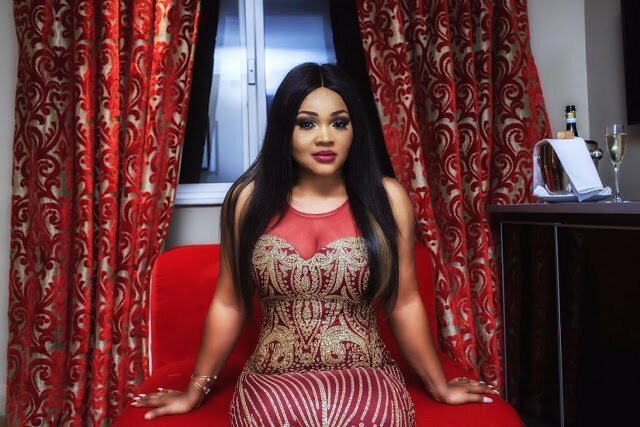 Nollywood actress, Mercy Aigbe has finally spoken on the controversial red dress she wore for her 40th birthday photo-shoot. The actress on her Instagram page said she contacted a stylist who got her all the clothes for her birthday and had no idea that the dress belonged to someone else let alone a bride. She wrote, “I have followed events as they unfold following a particular dress I wore for a photoshoot. First, I must say that I sincerely sympathise with the bride as this situation is painful, unfortunate and regrettably avoidable. 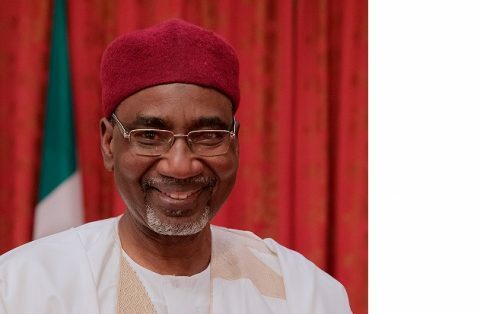 President Muhammadu Buhari on Wednesday approved the appointment of Ahmed Rufai Abubakar as the substantive Director-General for the National Intelligence Agency. According to a statement by the Special Adviser to the President on Media and Publicity, Mr. Femi Adesina, the new DG is a retired career Foreign Service officer, who till his appointment served as Senior Special Assistant to the President on Foreign Affairs/International Relations. Adesina said Abubakar’s appointment took immediate effect. Bolori and Aminu have become estranged. The court’s order followed arguments by Bolori’s lawyer, Mrs. Gloria Albert-Ekpe from Festus Keyamo Chambers, that she should be granted the full custody of their two children – Ameera, 9, and Aamir, 7. Few days hence, 14th of January 2018 to be precise, the void in the central senatorial district of Anambra state will cease to exist. On that day every wrong act since the senatorial election was held nearly three years earlier will be put right. Though there may be one or two persons still working surreptitiously to have the anomaly continued, and a cheerless few drumming up support, but the day will spew out all lost opportunities and put an end to the years of unreasonableness. 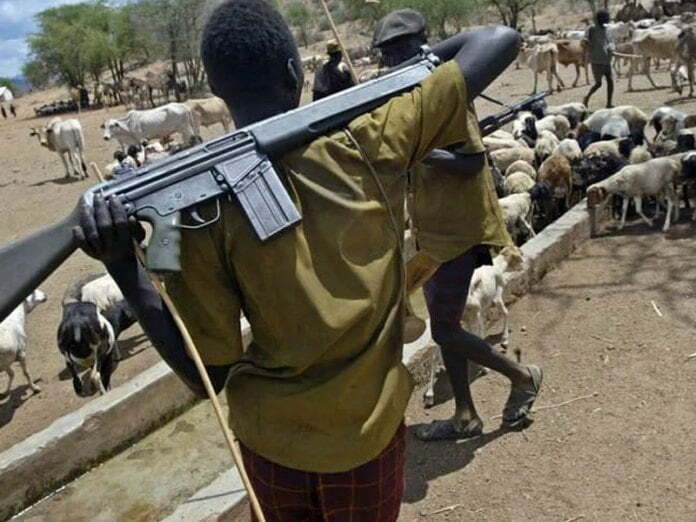 No fewer than 25 persons have reportedly been killed by suspected Fulani herdsmen in some villages in the Awe, Keana and Doma Local Government Areas of Nasarawa State. It was learnt that the suspected Fulani herdsmen had continued killing persons sighted on roads or on their farms. Investigation revealed that the Keana LGA recorded the highest number of deaths, followed by the Awe LGA where the herdsmen reportedly lay siege to major roads to attack their victims despite several calls for calm by the government and prominent individuals in the state. A journalist with the Daily Times, Mr. Augustine Kuza, who went to find out the situation on the ground in Kuduku in the Keana LGA of the state, narrowly escaped death. 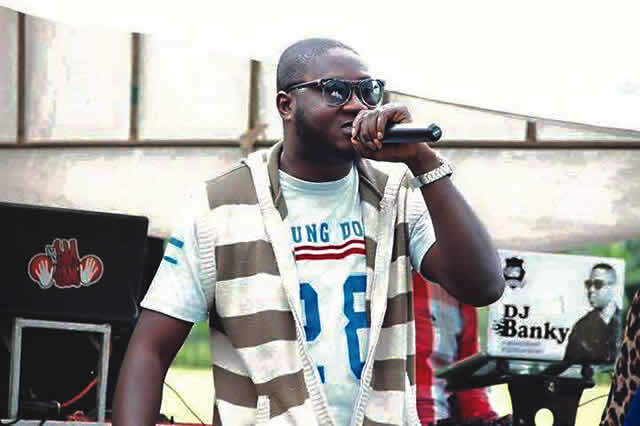 The Oyo State Commissioner for Health, Azeez Adeduntan, on Tuesday said the death of Fresh FM radio presenter, Femi Oluwajobi, should not be blamed on the inability of Adeoyo State Hospital to admit him for treatment when he was brought to the hospital. Oluwajobi died after he was hit by a driver on the night of December 31, 2017, on his way to church for the New Year’s Eve service. He was taken to the hospital, but was transferred to the University College Hospital, Ibadan, where he was confirmed dead. Since his death, the public have castigated the state government for not funding the hospital. They urged the commission to issue a certificate of return to their candidate, Obiora Okokwo who was recently declared winner by a federal high court in Abuja in the PDP 2014 senatorial primaries. Some supporters of the PDP in Anambra were seen on Monday morning carrying pla-cards, with different inscriptions, demanding justice be done on the part of their candidate. They insist that INEC should not continue with the rescheduled election, owing to the fact that some matters are still pending in different courts around the country. Recently, a trending analysis attributed to the Economist magazine, categorized President Muhammadu Buhari's leadership and tenure as being " plagued with failures across every single sector in the economy, the like as has never been seen before." This synoptic evaluation its veracity notwitwstanding, correlates with the extensive chronicle and exposé by Oseloka H. Obaze in his just released book, titled: 'Prime Witness – Change and Policy Challenges in Buhari’s Nigeria’ . 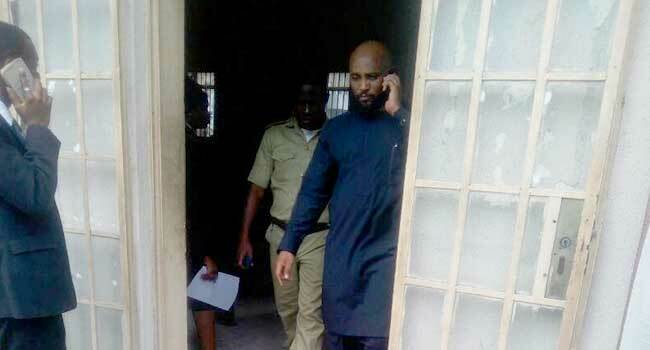 Following the recent arrest of a United Kingdom based lawyer and online journalist Daniel Elombah by men of the Federal Special Anti-Robbery Squad SARS, the victim berates the Nigeria’s criminal justice system. He lamented that the reasons for his arrest and that of his brother is yet to be made known to them, he is however seeking justice over the alleged maltreatment. The Technical Committee on Nigeria Yam Export Programme says it is targeting the export of about 480 tonnes of yams per month in 2018. According to the committee, the United States has already requested for the supply of five containers monthly, which amounted to 120 tonnes of yams monthly and 1,440 tonnes of yams in a year. He said, “If everything works out well, the U.S. authorities say they will need about five containers every month and one container contains 24 tonnes of yams. Martin McDonagh’s “Three Billboards Outside Ebbing, Missouri” won the big prize of the night at Sunday’s Golden Globes — best drama motion picture. A man swallowed too many Viagra and rampaged naked through an airport, screaming nonsense at people – before hurling lumps of his own poo at passers-by. 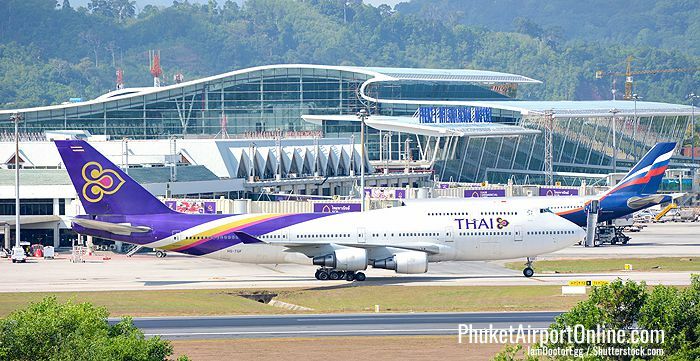 Witness Wannee Ming, 28, said: “This was the scariest and most disgusting thing I ever saw at an airport. Former Vice President, Atiku Abubakar, has assured Nigerians that the Peoples Democratic Party is the only party that will transform the country and take its economy back to its prosperity. Atiku expressed this in Kaduna at the weekend, when one of his supporters, Miss Zainab Musa Pindar, organised a reception for him at the Arewa House, welcoming him back to the PDP. A statement signed by Jacob Onjewu Dickson, spokesman for the Chairman of Atiku Care Foundation, Ambassador Aliyu Ibn Abbas, made available to newsmen in Kaduna on Monday, said the Wazirin Adamawa further told his supporters to spread the gospel of the PDP’s good plans to the people at the grassroots. 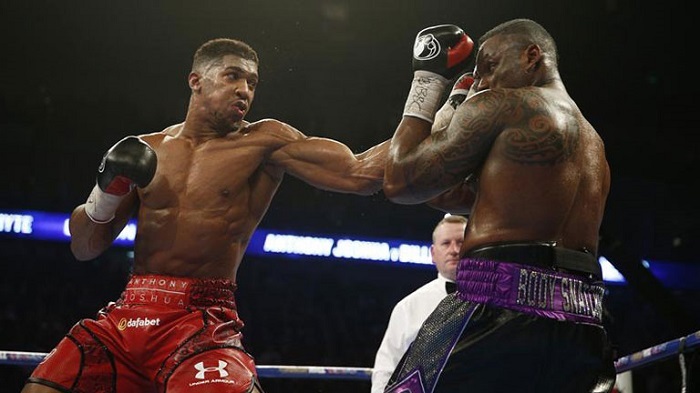 Dad-of-one Craig Foster, 34, was watching Joshua’s fight against Wladimir Kiltschko on his TV in April and had shelled out £19.95 to Sky for the pleasure. But as the sell-out Wembley fixture started, one of his friends picked up Craig’s iPad, started recording over Facebook Live and pointed it at his TV. The Minister of Labour and Employment, Dr. Chris Ngige, has said President Muhammadu Buhari is desirous to give Nigerian workers an enhanced pay package this year. He said the thinking of the Federal Government was to approve a minimum wage that would be acceptable to all stakeholders. Ngige stated this in a chat with journalists at Ifitedunu, Dunukofia Local Government Area of Anambra State on Sunday. He said a National Tripartite Committee set up by President Buhari on minimum wage had commenced work and would likely conclude the exercise in the third quarter of this year. Ngige said the committee was very dear to Buhari, who had given close supervision. The military said on Saturday that more fighter jets had been deployed in Sambisa Forest, and the Lake Chad region of Borno State, adding that some Boko Haram terrorists were killed in the process. The operation, which started on Wednesday saw the deployment of two fighter jets and two attack helicopters. It was jointly coordinated by the Nigerian Air Force and the Nigerian Army. This is just as the Defence Headquarters, Abuja, has yet to comment on any deployment to tackle the herdsmen’s killings in Benue State and the reported violence in Adamawa State. 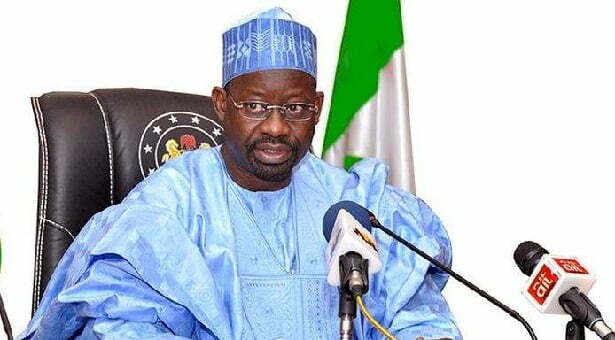 The Commissioner for Information in Gombe State, Umar Suleiman, has said a powerful group within the Peoples Democratic Party is mounting pressure on Governor Ibrahim Dankwambo to contest as the party’s presidential candidate because of his vast experience in financial management. Suleiman, in a statement on Saturday, said what Nigeria needs at the moment is a financial expert who could turn around the nation’s fortunes by deploying sound skills to manage men and resources. He said, “What Nigeria needs is someone that has a good financial and management background. If we decide to elect someone without a solid financial background, it will be very difficult for the person to turn around the economy of this nation. According to them, marketers will only import Premium Motor Spirit, popularly known as petrol, if the rate of forex is suitable enough to encourage the importation of the commodity, despite the ongoing review of template by the Federal Government. On Friday, the Federal Government announced that it had commenced a review of the pricing template for petrol and insisted that the commodity would sell at N145 per litre. However, oil marketers on Saturday, said the Federal Government could retain the cost of petrol at N145/litre after reviewing the pricing template, but outlined the conditions that will make this feasible for importers of petrol. National Chairman of the All Progressives Congress, Chief John Odigie-Oyegun said the party leadership was not involved in the compilation of the controversial list of appointees into the boards of federal agencies. He explained that this led to the embarrassing situation which the government was dealing with. Odigie-Oyegun said this while speaking to journalists at his residence in Abuja, on Saturday. According to him, the party was initially contacted and it asked state chapters to submit 50 names each to be considered for such appointments. A poll conducted by Ashiwaju Media has revealed that many Nigerians will not vote for President Muhammadu Buhari if he decides to seek re-election in 2019. The poll with the title, “Will you vote for Buhari in 2019?” was conducted on Ashiwaju Media website, www.Ashiwaju.org . It gauged the opinions of Nigerians using three options for participants. Those who want to vote again for the President in 2019 answered by clicking ‘YES’ while those with a contrary opinion clicked the ‘NO’ button. The last option was for those who were indifferent to Buhari’s choice. The poll went live on Thursday, 5.48pm. Up to 3,588 people, amounting to 38 per cent, said ‘YES’ to the poll while four per cent (417 votes) were indifferent to Buhari’s 2019 re-election bid. The poll, which has been read over 10,000 times, confirmed that many Nigerians are not happy with the performance of the President. Although Buhari has not officially declared his intention ahead of 2019, there are strong indications that he will seek a second term. Shittu stated this in an interview with State House correspondents shortly after a meeting he had with Buhari at the Presidential Villa, Abuja. Speaking specifically on whether the President will contest, Shittu said, “It goes without saying. I mean if you have a child who goes to primary school and he does well, he proceeds to secondary school and he does well, and you keep asking if he will be going to university. It goes without saying. Several chieftains of the All Progressives Congress, including Governor Nasir el-Rufai of Kaduna State, have also expressed their support for the President’s re-election. On Wednesday, Buhari was reported to have reappointed the Minister of Transportation, Mr. Rotimi Amaechi, as the Director General of his 2019 election campaign. Buhari himself, twice last year, hinted that he would seek re-election in 2019. 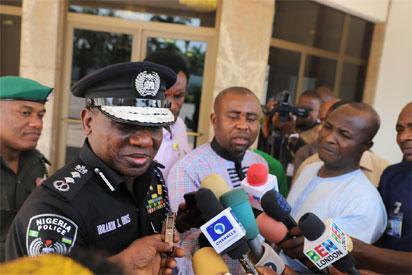 He gave the hint in Cote d’Ivoire during a summit on counter-terrorism and also during his recent visit to Kano State. On Saturday, many organisations, including the Arewa Youth Forum, comprising the northern youths; the Campaign for Democracy; and the Youth Wing of the Christian Association of Nigeria, kicked against President Muhammadu Buhari’s re-election bid. The groups, in separate interviews with Ashiwaju Media , hinged their rejection of Buhari’s second-term bid on the incessant killings in the country, particularly by Fulani herdsmen. 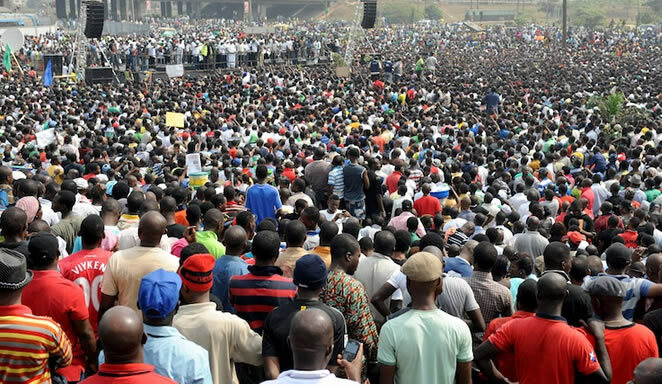 They said the clamour for a second term, amidst attacks by herdsmen and fuel scarcity in the country, was a demonstration of the insensitivity of the President and his aides to the plight of Nigerians. It will be recalled that last week, a Catholic priest and Spiritual Director of the Adoration Ministries, Enugu, Rev. Fr. Ejike Mbaka, warned President Buhari that Nigerians will ‘change’ him in 2019 if he does not change his style of leadership. The priest advised Buhari against seeking a second term, and warned that the President risks being ‘blown away shamefully’ by the wind of change, which he set off when he defeated former President Goodluck Jonathan in 2015. Mbaka, who had been one of Buhari’s most vocal supporters, spoke during a special New Year’s Eve service at the Adoration Ground, in Emene, Enugu. He had said, “Mr. President, wake up, sit up. God said you are toying with the privilege given to you. There is no time. Nigerians are dying in your hands. People are not happy with your system. The results of the Ashiwaju Media poll, which ran on Ashiwaju.org website for three days, indicated that many Nigerians no longer prefer Buhari. Those who opposed the President’s alleged re-election bid in the poll justified their decision with the state of the economy, poor power supply, in security, especially the herdsmen attacks which has led to loss of lives, alleged lopsidedness in the anti-corruption war and appointments, as well as many other indices of national development. Ashiwaju.org readers took turns in sharing their opinions. A reader, identified as Ebony Dollars, stated that Buhari had lost public sympathy and, therefore, should not run for the 2019 election. The respondent, who said he would not vote for the President in 2019, expressed disapproval with the way the Buhari-led Federal Government had handled the herdsmen attacks in different parts of the country. He said, “He should not contest (election) in 2019. If Buhari does not declare the Miyetti Allah group as a terrorist group and arrest their leaders for prosecution, he should forget 2019. If the President does not have the guts to query the Attorney General of the Federation, Abubakar Malami; and the Minister of Interior, Abdulrahman Dambazau, and reshuffle his cabinet, he should forget 2019. Another Ashiwaju.org reader, Oghale Ralph, asked why the President was considering a re-election despite the state of the country. “After everything, Buhari still has the mind to say he wants to contest again. People are wicked,” he wrote in the comment section of the poll. Also responding to the poll, Tony Ezeifedi reviewed the state of the country’s economy and scored Buhari low, adding that he would not vote for him if he decides to contest in 2019. Citing millions of job losses in Nigeria between 2016 and 2017 as reported by the National Bureau of Statistics, Ezeifidi described the Buhari government as the worst in the country’s history. “This is the worst performance by any ruler in Nigeria since 1914,” he said. Another PUNCH reader, identified simply as Izonkeme, said the failure of the APC-led Federal Government to tackle the menace of herdsmen killings was unacceptable. Izonkeme described Buhari as a “disaster,” adding that he would lose if he decides to contest the poll. Commenting with the pseudonym, Bluethroat101, another respondent listed five reasons why he won’t vote for Buhari. He said he was not satisfied with the way Buhari had handled national security, the anti-corruption war, economy and infrastructure. He drew an analogy between the way the President treated the herdsmen crisis and the way he reacted to the Biafran agitation by the Indigenous People of Biafra, adding that the president was biased. He wrote, “I was among those who praised Buhari for flushing out IPOB because I thought he would also use similar measures to end the Fulani herdsmen killings. Buhari is also biased with this anti-corruption campaign. If not for the Nigerian Senate, we won’t have seen people like the former Secretary to the Government of the Federation, Babachir Lawal, face partial justice. While many openly condemned the President and his policies, others praised Buhari, saying they would be proud to vote for him in 2019. Many ardent supporters of the President took turns to share their reasons for preferring him above others for a second term in 2019. One of them, identified as El Patron, attributed Nigeria’s woes to the Peoples Democratic Party’s tenure, arguing that though Buhari had disappointed some people, he remains the best candidate in 2019. Another commentator, Ibrahim Dauda, claimed that Buhari’s outing in the Ashiwaju.org poll was low but would be different in 2019 when the real election would be conducted. Dauda said, “Buhari will win with more votes in 36 states of Nigeria. Where are the credible candidates without a political party? The so-called credible ones are not in politics; the credible ones in our political parties are waiting for their turn. According to Alhassan Adamu, another Ashiwaju.org reader who reacted to the poll, there is no candidate in Nigeria that is as credible as Buhari.